So we have pie instead. I made a whole bunch of pie crusts for a Christmas party and while my kitchen was covered in flour and butter I made a few extra to freeze- pretty much no more effort and a lot of benefits. We had ripe bananas, ready to go blueberries, and whipped cream waiting to be used, so banana cream pie was on the menu. After I baked up the crust I layered in bananas, pastry cream (no cinnamon, per my mom's request), blueberries, bananas, pastry cream, and whipped cream on top for good measure. My family gets a lot of baked goods and sometimes they shrug off totally yummy things, so I was prepared for that response but instead I had two big guys vying for the last slice of pie (my tall man won out, with the husband claim, but my brother said I owed him a pie for all his babysitting). The pie was a hit- even with teething Baby Strawberry. What a brilliant idea to put a candy bar in the middle. This is so yummy. After all the cookies,it is fun to see something else. OMG. Your pie looks awesome. Happy New Year! What a darling pie! Happy Anniversary TWD!!! Candy in a cookie sounds good to me. And the pie looks great, too! i love clearance candy. that's where you can find me every post holiday! lol. 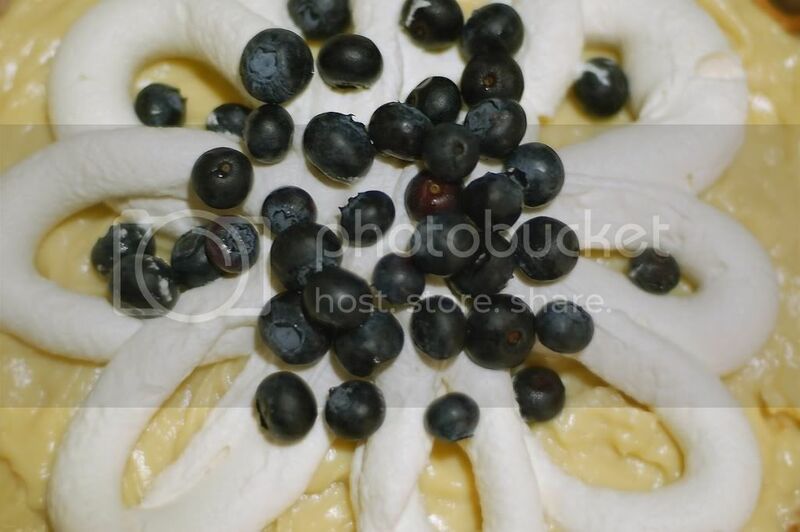 your pie looks amazing! 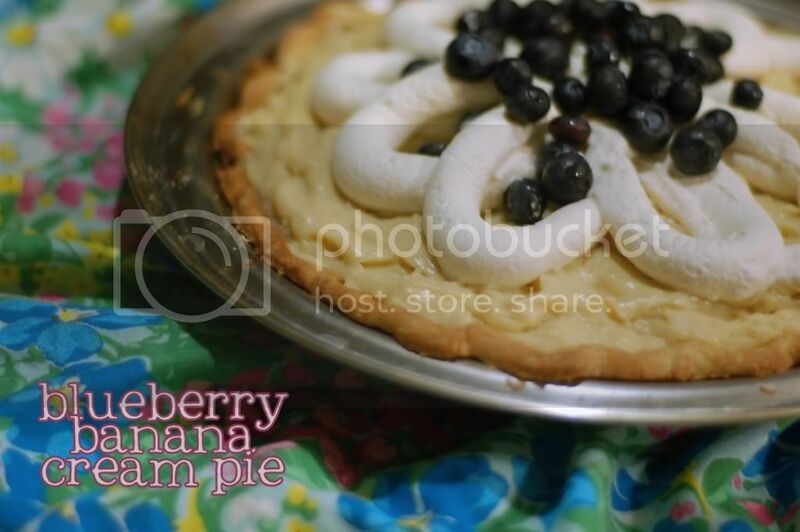 While your cookies sound yummy, I'm more drawn to this pie! Maybe it's all of the lovely piping! Mmm, blueberries and bananas... this sounds so awesome. Now that cookie sounds fantastic. And the pie is yummy looking. These cookies needed something and you figured it out--candy inside! Awesome. And the pie--love banana everything. I'm laying off super decadent treats, but sigh---pie. ;) Happy New Year! Not a bad substitute for the cookies. I never thought of putting the candy in the middle. Thanks for baking along with us! I just found your blog - I love the quote you have under the title!